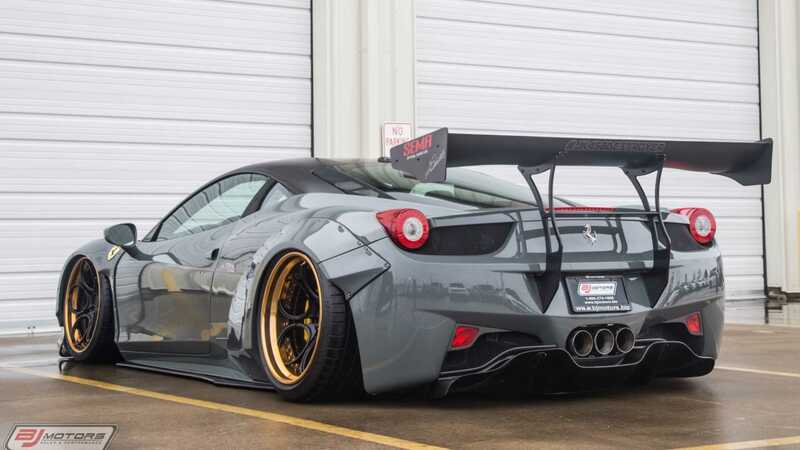 This 2010 Ferrari 458 was the first Liberty Walk 458 built for North America and is signed by Waturu Kato, the company's founder. 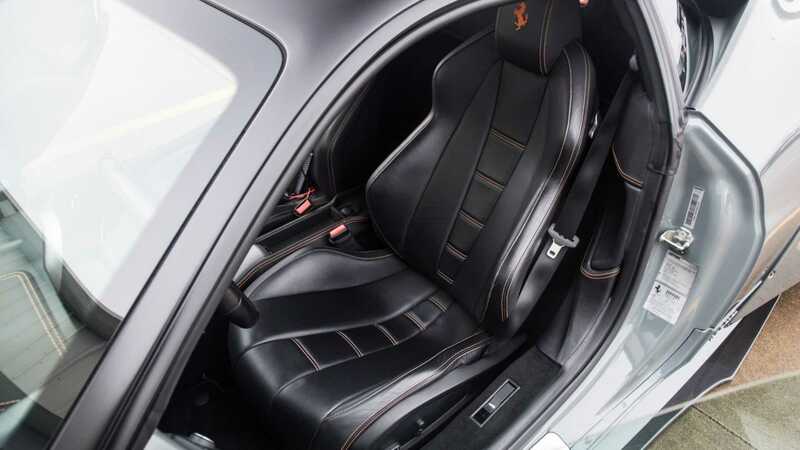 Ferrari debuted the 458 Italia (Type F142) at the 2009 Frankfurt Motor Show. 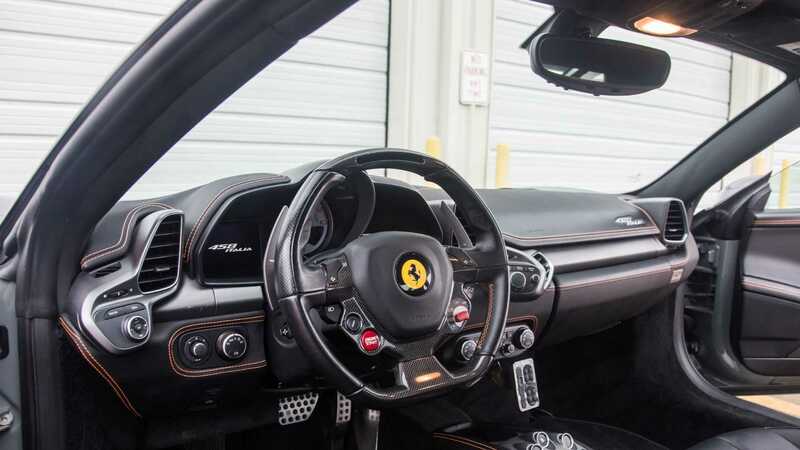 The Italia was available as a two-door Berlinetta and a retractable hard-top convertible. 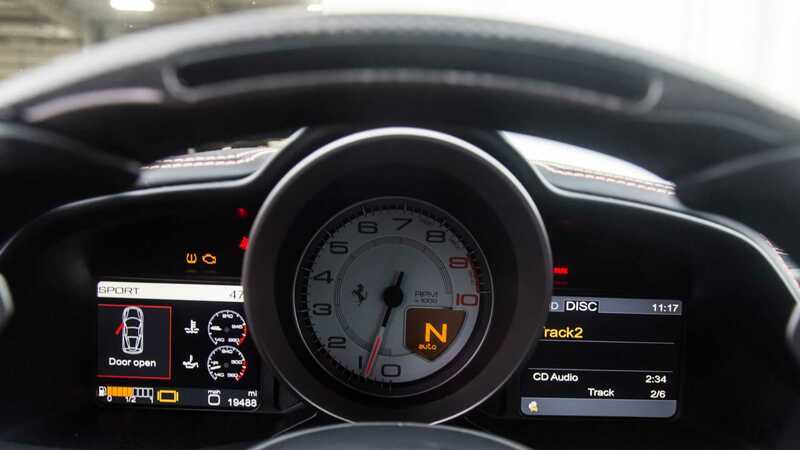 Donato Coco at Pininfarina penned the 458 Italia and it was assembled in Maranello, Italy from 2010 until 2015. 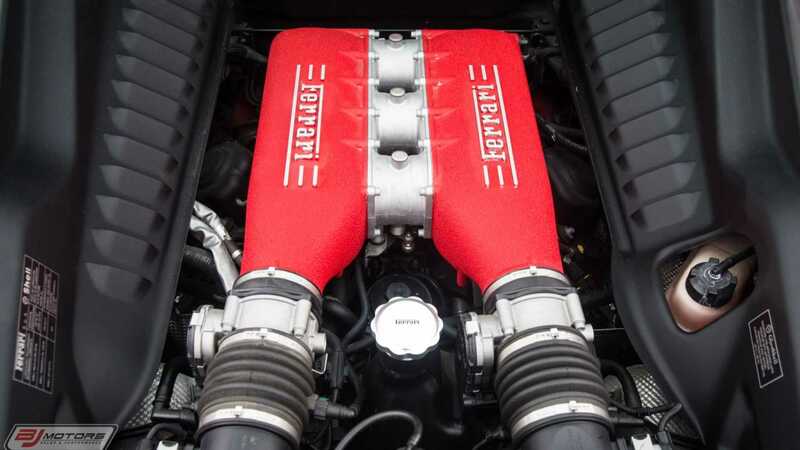 The 458 was powered by a 4.7-liter Ferrari/Maserati F136 naturally aspirated V8 which produced 562-horsepower at 9000 rpm and 398 pound-feet of torque at 6000 rpm. 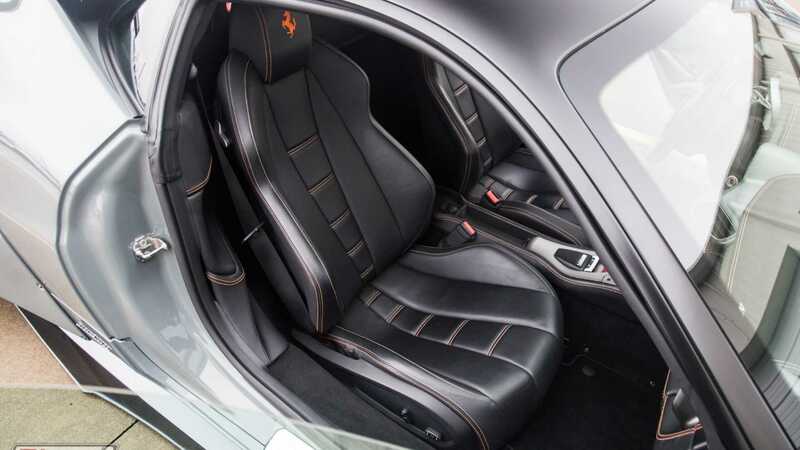 The engine sends power to the rear wheels via a Getrag sourced seven-speed dual-clutch transmission. 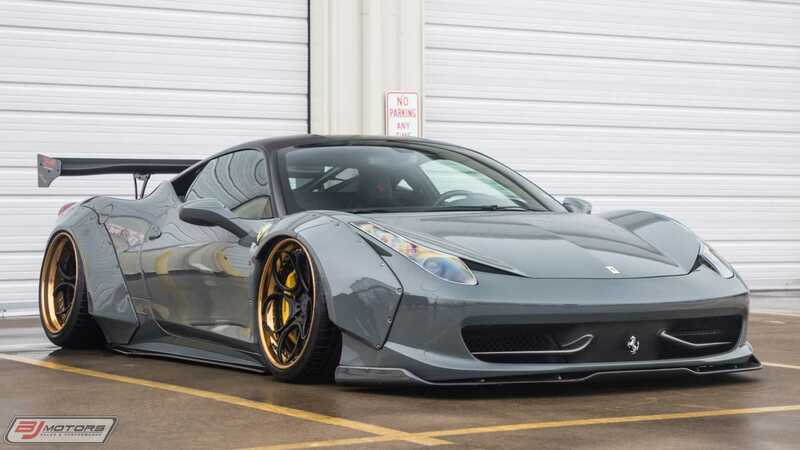 This particular 2010 Ferrari 458 Liberty Walk currently for sale at BJ Motors in Tomball, Texas was the first Liberty Walk 458 built for North America. 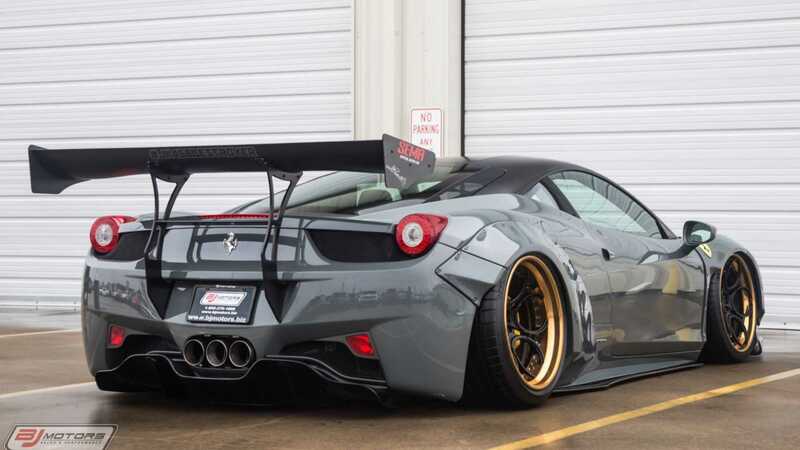 The Liberty Walk body kit was installed by Platinium Motor Works in Los Angles. Liberty Walk was established by Waturu Kato when he was 26 years old in Nagoya, Japan. 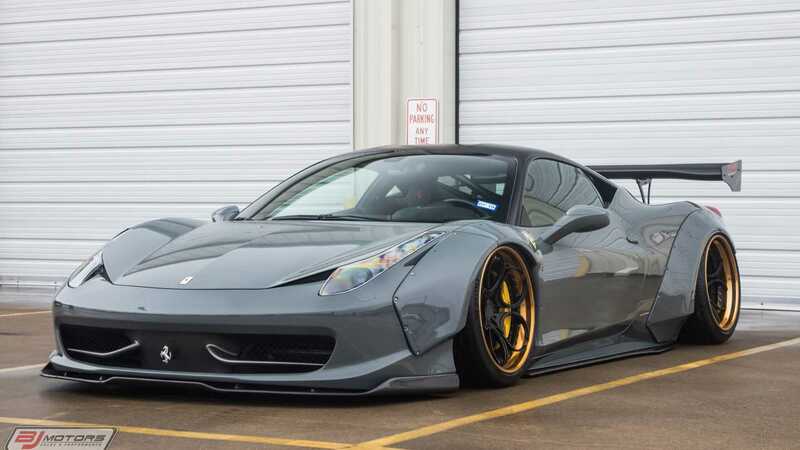 This 458 Italia came to life in 2014 when Waturu Kato and Platinium Motor Works partnered up and commissioned the team at PML (Platnium Motor Works) to build the first Liberty Walk by a US-based company. 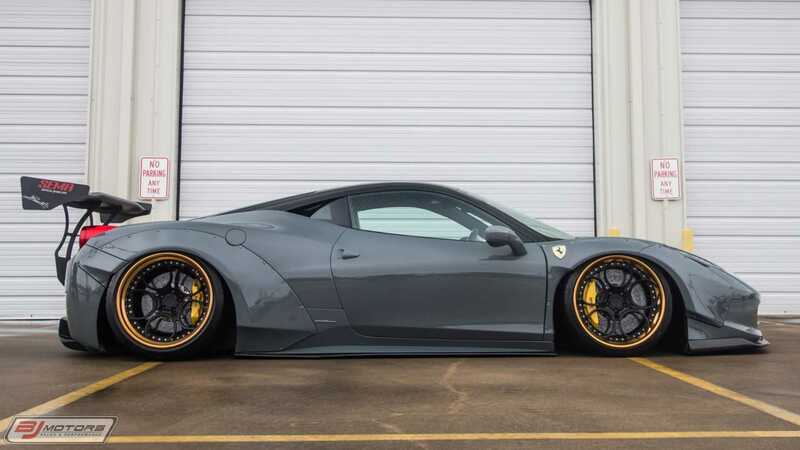 Upon completion, the 458 Liberty Walk was unveiled at the DUB Booth at the LA Auto Show in 2014, and also made an appearance at the 2014 SEMA show as well. 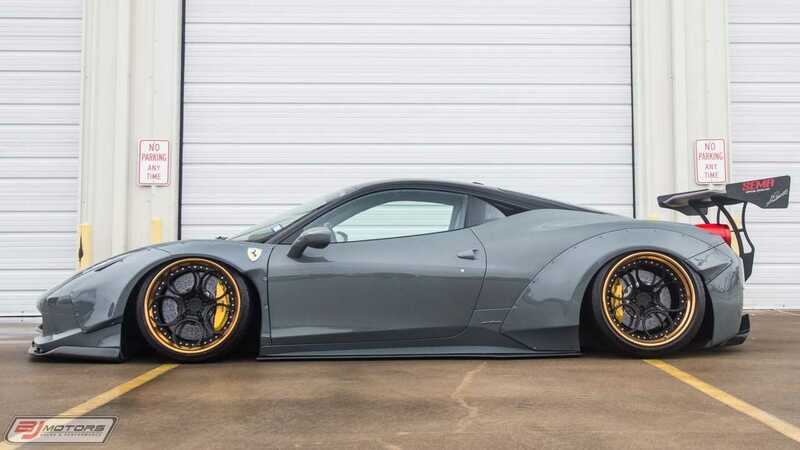 The Ferrari 458 Liberty Walk is still powered by the naturally aspirated 4.7-liter V8, but it now produces 585-hp instead of 562-hp from the factory because of a new Meisterschaft exhaust system supplied by GT-Haus. 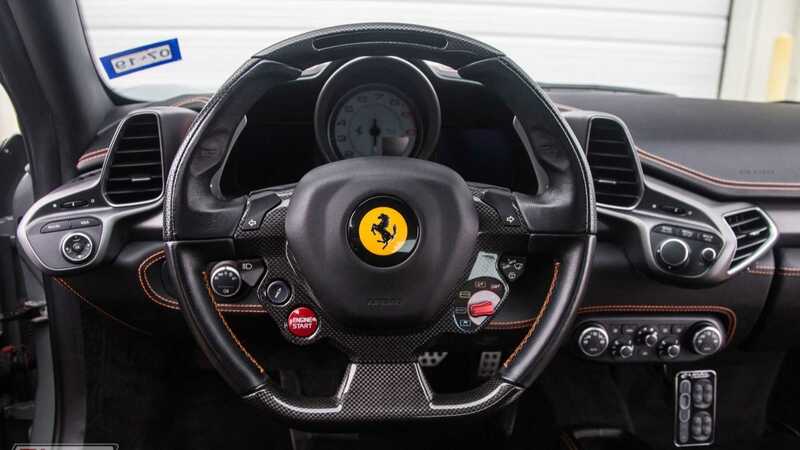 The engine is still bolted to the Getrag sourced seven-speed dual-clutch transmission. This 458 Liberty Walk rides on a special set of three-piece wheel called "Circle of Trust" designed by ADV 1. The rims have been given that name because of the floating rings above the lips. 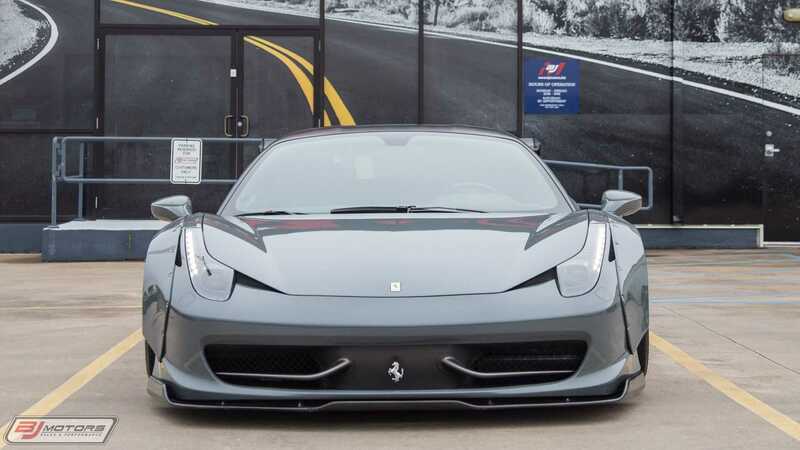 The team of designers and engineers at Platinium Motor Works stripped the Rosso Dino colored 458 Italia to the frame and repainted the entire frame and body in Grigio Medio. The air suspension is supplied by ACCUAIR and the system allows the car to be lifted and lowered without compromising the integrity of the factory suspension's performance. 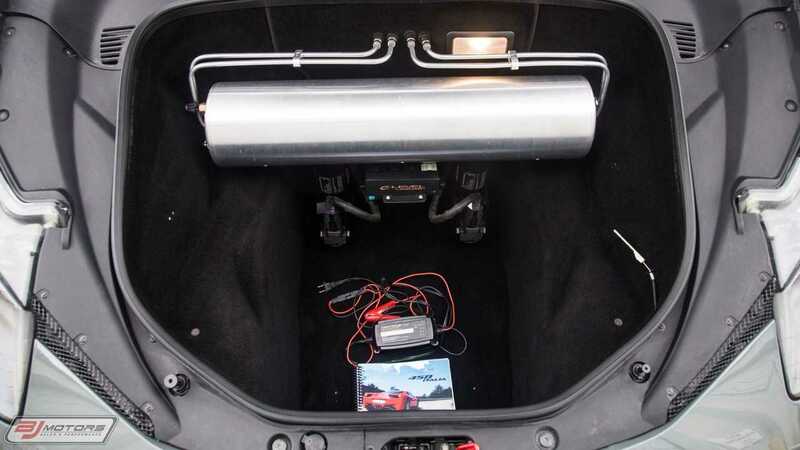 The system also has a "smart" lift system with auto E-Level and comes with a wired remote control to adjust the car's height settings. The air compressor for the system is located under the front trunk lid. 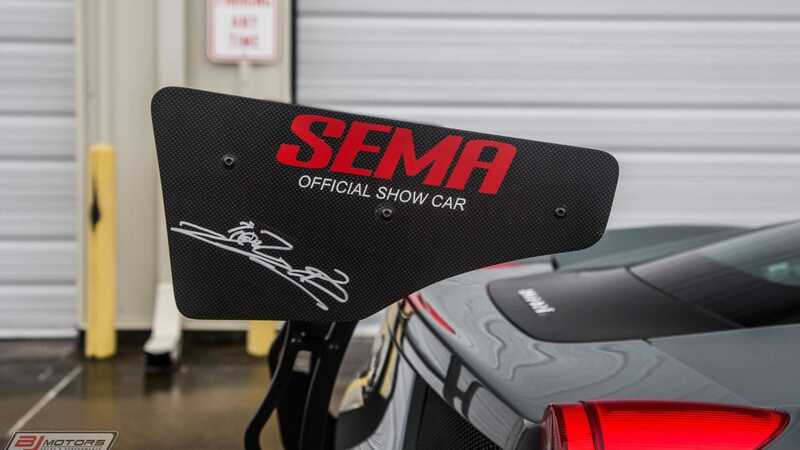 So, if you are interested in owning a former SEMA show car and want to win every competition at local car shows this summer, then check out this 2010 Ferrari 458 Liberty Walk for sale at BJ Motors for $259,000.